What is praise? The response of the worshipper to the work of God. 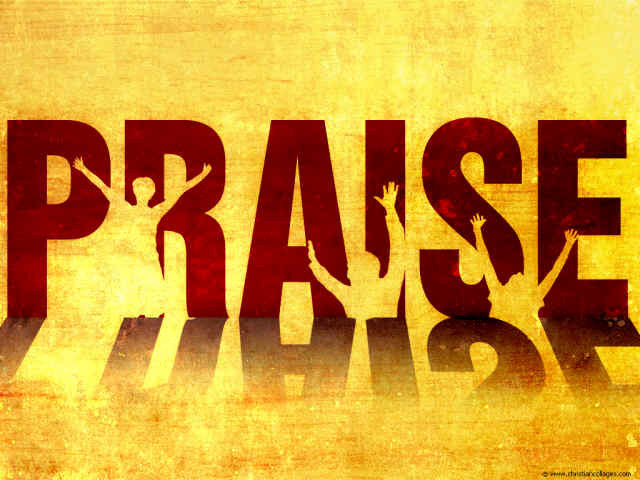 What is praise and where does praise come from? Are we to praise God blindly or has He provided a reason for which we can believe our praise to Him means something? All too often worshippers fill a church building and offer empty praise to God, a praise that is void of meaning and is just the recapitulation of words that have been uttered for centuries. True praise is our personal response to the things that God has done and it means something when we offer it in response to God’s action and God’s character. Early in the morning Jacob took the stone that was near his head and set it up as a marker. He poured oil on top of it and named the place Bethel, though previously the city was named Luz. Then Jacob made a vow: “If God will be with me and watch over me on this journey, if He provides me with food to eat and clothing to wear, and if I return safely to my father’s house, then the Lord will be my God. This stone that I have set up as a marker will be God’s house, and I will give to You a tenth of all that You give me. From his very first words in verse 17, Jacob’s praise to God was a direct response to his hearing from God what God had promised. When he woke up, he built a memorial and consecrated it with oil. As a result of what God promised, Jacob vowed make the Lord his God and promised to give the Lord a tenth of what he received. I love my wife. I think she is beautiful and I love hearing her sing because she has the most amazing voice I have ever heard. Just in making these declaration, I am praising my wife. I do not praise her just to please her. These things are true. I praise her because I know her. I know her because I spend time with her. I spend time with her because I have chosen to spend time with her. I make this choice because she wants to spend time with me, and it all started in a town in Oklahoma called Shawnee. There is one thing we need to realize about praise. It is a response to something. I praise my wife because I know her and I see her good qualities and because I love her. Jacob praised God because God revealed Himself and mad Jacob a great promise. In the same way, I praise God because of what He has already done in my life and because of what He has already promised. Blind faith, or a faith of response? Abel had faith because God favored his offering. Cain did not, and this too was a response to God (Gen. 4). Abraham believed God and it was counted to him as righteousness. This was a response to God’s promise to Abraham (Gen. 15:6, Rom. 4:3). Here we see Jacob’s faith as a result of what God has already done. The Israelites were to have faith in the wilderness because they had seen God bring them out of Egypt (Ex. 20:2). Today we have faith not because God has done nothing for us. He has already given us the greatest gift that He could possibly give: Himself. And He did so through Christ on Calvary. We can have faith because of what Christ has already done (John 20:31, 1 John 5:13) and because of the things that God still does today! Faith is not blind! It is a response to what God has already done! God does not ask us to have a blind faith, for if anyone could have a blind faith we would not need God to reveal Himself. Whatever we might say about the subject, I know this is true: I was once blind to the very realness of God, and it was God who reached down and opened my eyes. As a response, I am able to see the realness of God, to believe God and to trust God. Faith and praise are responses to what God has done. God has provided a more than sufficient account so that I might reasonably believe that Christ truly did die to return me to Himself. He has done so in the account of the Gospel writers, in the prophets, in the history of Israel and even in writings that were not included within scripture. God includes me in the work that He is doing on this earth. I have a current and real place in His kingdom! God saved me from falling into the alcoholism of my father. God gave me a great family. God gives me an audience that He might be glorified. God has given me a great degree of liberty within the context of an American society. God has given me a great church family and has placed me into a great community of believers. God has given me a wife who is more perfect for me than anyone I could have picked for myself. God has given me many talents and passions that I get to use for His glory. I have food to eat and water to drink. I do not have trouble breathing (and this means much for someone who once struggled with asthma). I have fingers to type with and a voice to speak with.